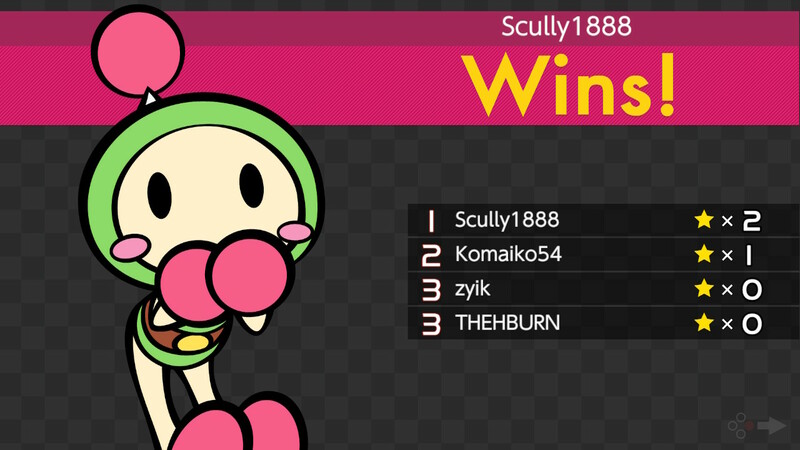 In case you couldn’t already tell, I’m a big fan of Bomberman. I’ve loved the series from the moment I first played the NES original back in 1991, and ever since Super Bomberman 2 launched on the SNES in the mid ‘90s I’ve been anxiously waiting for a new sequel that would better it. Super Bomberman R isn’t that game. It’s fine though, because that doesn’t mean it’s a bad one. 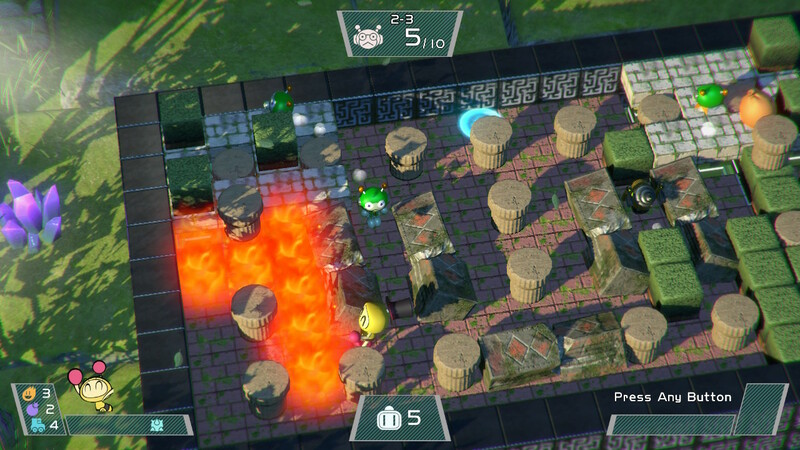 Although it isn’t quite a return to form as yet, as far as modern Bomberman efforts go it’s a good sign that Konami is at least getting back on the right track. The most notable example of this – from my point of view, at least – is the return of a proper single-player mode for the first time in around a decade. Fans of older Bomberman games will remember how the solo mode had you making your way through a series of levels, trying to destroy every enemy in order to open the exit that would take you to the next stage. 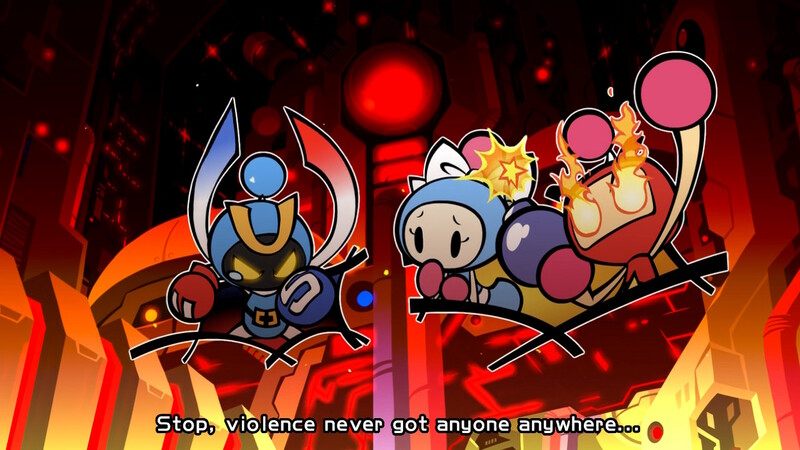 Thankfully, that’s exactly what we have again here in Super Bomberman R: a sturdy selection of 40 single-player stages as well as a solid helping of boss fights to mix things up a bit. 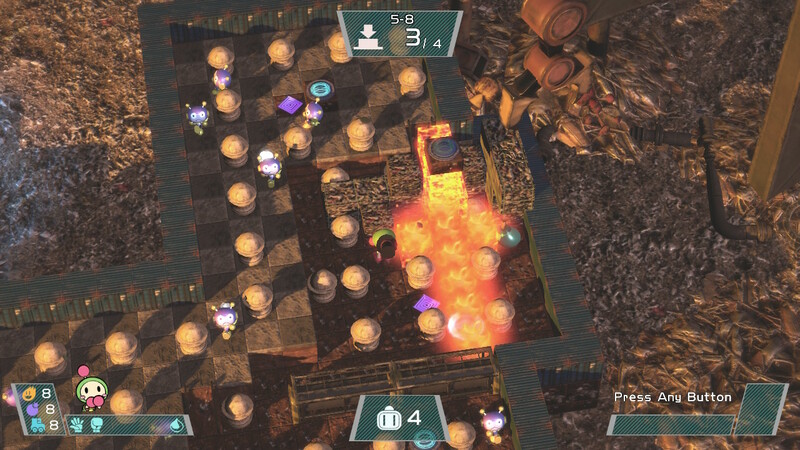 Although it’s great to see ‘proper’ single-player Bomberman back on a personal level – it’s always been my favourite mode – it’s not without its flaws. Earlier Bomberman games had simplistic graphics, and while this was mainly out of necessity it did make it easy to see what you were doing and where you were going even as levels filled with bombs, explosions, enemies and power-ups. Super Bomberman R’s single-player mode starts straightforward enough but it eventually tries to get a little too clever for its own good. Its use of more detailed textures and a more angled isometric camera looks good in screenshots and plays fine in the basic early stages, but as you progress multi-layered levels are introduced and things start getting a little confusing. It can be legitimately difficult at times on some stages to tell whether you’re on a high platform, and there were moments where I was stood there trying to figure out how I could even reach certain low areas because I didn’t realise one of those things I thought was a block was actually a slope leading down. This also leads to confusion when you’re dropping your bombs, as you aren’t always exactly certain how far your traditional cross-shaped explosion is going to travel when you’re in a particularly complicated level. To be clear, this isn’t to say I didn’t have fun playing it. As a Bomberman man at heart I still take great satisfaction from trapping an enemy in a corner with a bomb, or perfectly lining up a series of bombs and taking out four bad guys with a single huge explosion. When it all comes together it does still evoke those feelings I used to get playing the Super Bomberman games on the SNES and Mega Bomberman on the Mega Drive. The series’ glory days may be long gone but this game, at times, shows glimmers of that era. This extends to the multiplayer Battle mode too, which is less of a rarity given that the Xbox 360, PS3, Wii and DS all got digital-only, multiplayer-only Bomberman games last generation. There’s a good selection of stages on offer here, though again some get a little too complicated for their own good with some areas and mechanisms that are a little difficult to identify and quickly comprehend at speed. That said, this has been the case for a while with Bomberman multiplayer: a handful of ‘normal’ stages along with a bunch of gimmick-riddled ones designed to mix things up a bit. At least it’s less frustrating than in the single-player mode, because all 2-8 players involved have the same issues and so getting around them simply becomes part of the battle. And, naturally, over time you’ll learn how each stage works and these problems become less pronounced. There’s one other issue with Super Bomberman R and it’s one that needs a bit of patience to get used to. The game has input lag. Now, let’s get the possible extenuating circumstances out of the way here. I’m not talking about TV input lag, which most modern televisions have these days. I’m not talking about the JoyCon connectivity issues, which are their own thing and again affect Switch games across the board if you’re unlucky enough to be stuck with them. I’m talking about input lag that’s specific to this game, in that when you press a direction there’s a brief pause before your character moves. In some other games this wouldn’t be a massive deal but in a twitch-based game like Bomberman, where split-second timing is needed to accurately drop bombs while running and navigate the mazes quickly to avoid explosions, it can be a real pain in the arse. I lost quite a few lives early on while playing this game due to my Super Bomberman muscle memory betraying me because the controls weren’t as responsive as they were in the SNES days. Konami has implied this is a JoyCon issue and it’s limited to online multiplayer, while its Japanese arm is saying players should play in handheld mode to reduce input lag. But it’s there too, whereas other retro-inspired games like Shovel Knight and Blaster Master Zero feature absolutely zero noticeable lag in handheld mode. To be clear, this is a software-level issue. Yes, Konami’s right in that it’s particularly bad when playing online but it’s there to an extent in single-player mode too. Still, at least in multiplayer everyone else suffers it too so you aren’t exactly at a disadvantage. Over time you’ll get used to it and incorporate it into your play but for the first couple of hours it’ll take some adjustment, especially if you’re a long-time Bomberman player used to immediate response from your controls. 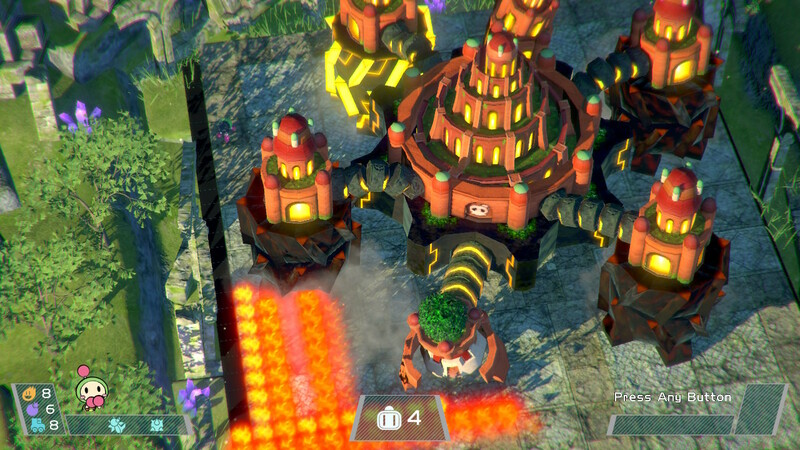 So, Super Bomberman R isn’t quite the triumphant return for the nineties’ best multiplayer series many of us were hoping for. That isn’t to say it’s a bad game: I still had a good time playing through it once I adjusted to the laggy controls and messy art and level design. 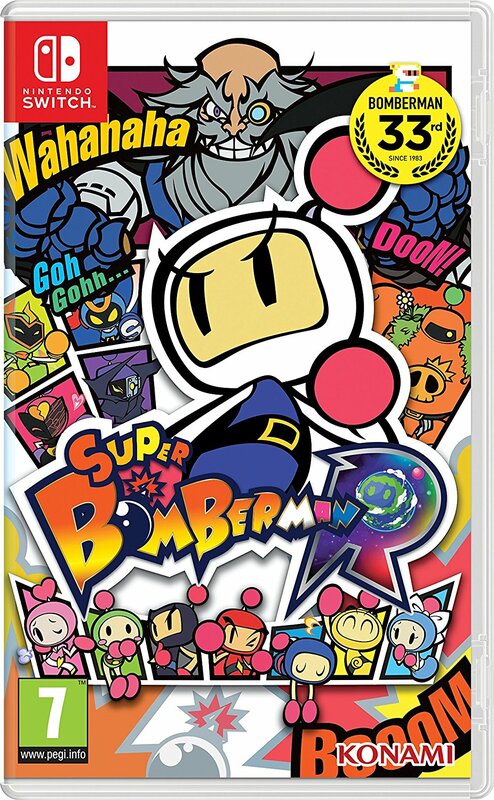 With a healthy £50 price tag though, anyone who isn’t a die-hard Bomberman fan may want to wait a few months for launch fever to die down and the price to inevitably drop to a more sensible level. At £20, this would be well worth taking the risk on because despite its issues it’s still good fun when it all works like it’s supposed to. Unless you’re a retro fiend, then, you might want to hold fire and wait until it no longer costs a bomb. Super Bomberman R is available now on Switch as both a physical release and an eShop game. I’ve never played the game, but what game. It sounds like oddles and noodles fun and plenty of play time. It great that it s gotten a sequel. I always love it when classic get their just deserved sequels. 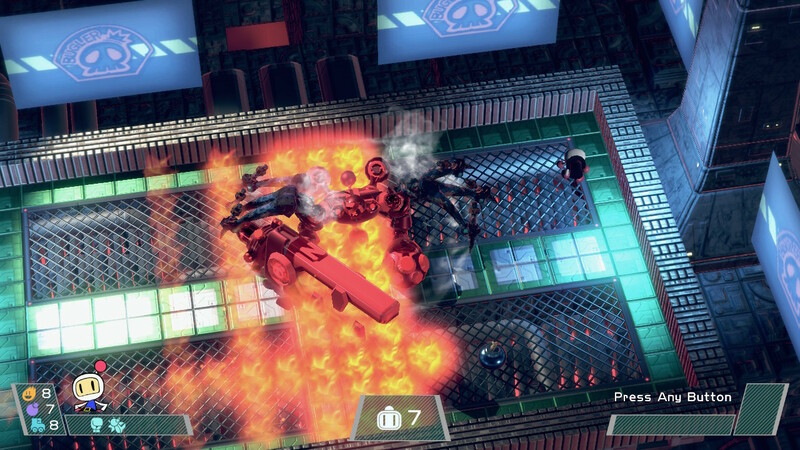 Also the isometric camera angles sounds pretty interesting I wouldn’t mind trying it. Dang I really wish I would have just held off on buying this at launch, had I waited a few days to read this review I probably would’ve passed…at least until the price tag goes down a bit (though I kind of doubt that will be anytime soon…) It’s definitely a step in the right direction for what has been a criminally neglected series but these cons just outweigh the pros for me. I have yet to do any meaningful “on the go” gaming with my Switch but I do feel like Bomberman would be fun to play on a road trip or if I’m feeling courageous, maybe on my rare transit ride. BOTW is just way too much game for my tiny brain to handle on anything but my giant television hah, but I have spent about 2 hours total with Shovel Knight (which has already established itself as a great mobile title!) and this game and they work great for lazy gaming in bed. That input lag you mentioned is a very real problem, one I certainly hope they can fix…I have given up trying altogether. The mix of rage quitters and input delay is in bad shape and since there is no repercussion for that sort of behavior, it will continue to happen. Might be worth another look? We bought the game when it was 50% off and it was a good buy. My only gripe is the horrible game mode camera angles. I cannot tell what block I am on and end up nuking myself. I played super Bomberman and super Bomberman 2 all the time. 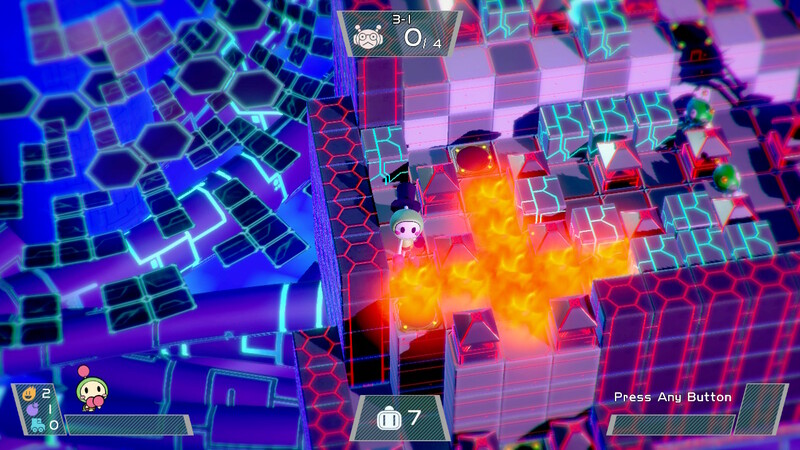 Super Bomberman R, even after the updates, is not as fun as the classics.